WordPress vs. Drupal: Which is better – and why? So you're in the market for a better web site, and you've heard a lot about this WordPress thing. You think you like it, but then someone pipes up and says, "WordPress? If you want a serious web site, you've got to go with Drupal." Then you say, "Drupal? Sounds like a medical condition. What is it?" Good question. And the answer depends on your vision for the site – and your budget. Drupal is an insanely configurable content management system for the web. It makes almost no assumptions about how you want the site to look or how you want to structure and display your content. This makes Drupal very powerful – and very complicated – at the same time. 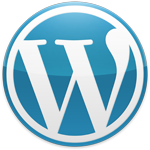 By contrast, WordPress gives you a much better defined framework within which to create a site. Depending on the template, it often provides a complete design, as well as pre-set content types like posts, categories, pages, media, etc. Small businesses and major corporations alike use both WordPress and Drupal to produce excellent web sites, so how do you decide which to use? Content is the key to making your choice. If you envision a relatively simple site with a limited amount of content, WordPress is the way to go. Most likely, you'll be able to use its built-in settings without much trouble. And thousands of good plugins are available if you need more functionality. But if your site is going to be a tour de force of pages, text, photos, videos, etc., Drupal may be the better bet. It is enterprise-level software that can manage huge databases and a massive library of files. It can pick and choose from the database to allow custom presentations of your information. And, with a Drupal developer's help, it can be set up to allow secure user-generated content. A word of advice: Think carefully about your site's content before deciding between WordPress and Drupal. Most people vastly underestimate the amount of content that will be on the site, especially as the months and years go by. And remember that a consistent stream of fresh content is a key search engine optimization strategy for any site. With Drupal in particular, the success of your site will depend on planning, planning, and more planning. Be prepared to spend lots of time up front on nailing down the details of your content and presentation. Unless you're a true geek, you'll need professional help. For most small business applications, WordPress will provide all the power you need to create and run a very beneficial web site. But Drupal is always there for the bigger projects. Web designer Robert Pitts of Lakeland, Florida, is the owner of Web Designs by Robert G. Pitts, which specializes in the WordPress content-management platform. View the company's "No-Surprises Pricing" policy.